Facebook’s acquisition of WhatsApp is rightly seen by many as a move to boost its presence around the world, particularly in markets where the chat app is more popular than Facebook itself. Despite 450 million active users with a strong presence in Europe, Africa and Latin America, Asia is a challenge for the company, as we explained this week. WhatsApp sits behind dominant local players in China, Japan and Korea, but its experiences in Southeast Asia — where its popularity is varied — provides important lessons for Facebook if it wants to keep its sparkling new acquisition in vogue among a sea of competing, and well-funded messaging rivals. In particular, WhatsApp is coming under pressure from a new breed of ‘platform’ messaging apps that go beyond replacing SMS to provide a range of connected services, like games, virtual content, video/voice calling, e-commerce and more. One such service — Line, an app from Japan with 350 million registered users — has shown that WhatsApp can be defeated. The example of Thailand — my adopted homeland, with a population of nearly 70 million — shows how trends and tastes can shift so quickly when it comes to apps. WhatsApp literally went from being the must-have thing to passé in the space of a year. Around 2009-2011 — when a BlackBerry smartphone was the thing to have (!) — BBM was the messaging app to be on. It was used be celebs, brands, small shops, clubs, bars and essentially anyone who thought they were anyone. Come 2011-2012, the iPhone (and Android phones) replaced BlackBerry as the fashionable device, and WhatsApp took off. Suddenly BBM was embarrassing and WhatsApp was, more than cool, a social expectation. Sometime in 2013 that changed for the masses, and Line took over. Essentially, BlackBerry created the initial demand for messaging apps, WhatsApp made it cross-platform, and Line has turned it into a more social and content-based experience. 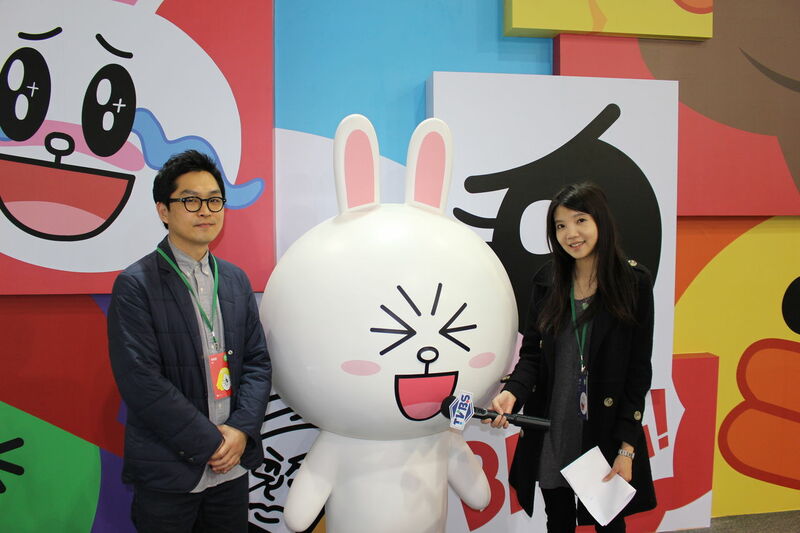 Line says it has 30 million registered users in Thailand. There’s probably a lot of doubling up for multi-device registrations among that figure, so let’s call it 20 million. Facebook claims 26 million registered users in Thailand, which indicates just how entrenched Line is right now. Line was able to overtake WhatsApp, but it isn’t clear how (or indeed if) Facebook can put WhatsApp back on top again. Line’s strategy for Thailand is pretty much its blueprint for new market expansions. It began by raising awareness with a traditional media campaign. That was advertisements on billboards, decking out metro trains in its branding, newspaper ads, interactive video boards, TV ad spots, and other high-profile brand opportunities. With some level of awareness and installs under its belt, Line shifted to stage two, wherein it went hard on the local angle: using celebrities, launch events, more media, and customized stickers for Thai users. In addition to cutting deals with mobile operators — most of which already offered all-you-can-eat packages for WhatsApp and Facebook — this strategy was enough for Line to take charge and become the dominant player in the Thai market. The WhatsApp story is incredible. Without spending a dollar on marketing, it has 450 million active users — but therein also lies its biggest weakness. In the case of Thailand, WhatsApp grew the market for cross-platform messaging, only to be beaten by a company that localized better than it could. Once Line began clicking with Thai people, WhatsApp didn’t stand a chance. WhatsApp barely has 50 staff in Silicon Valley, and no country-specific reps anywhere. While CEO Jan Koum has an admirable belief that marketing is a distraction from product, that leaves the WhatsApp empire in far flung places like Thailand unguarded. That opportunity let in Line which, unlike WhatsApp, is very corporate and is pouring millions into promoting its service via a country-specific focus and local teams. 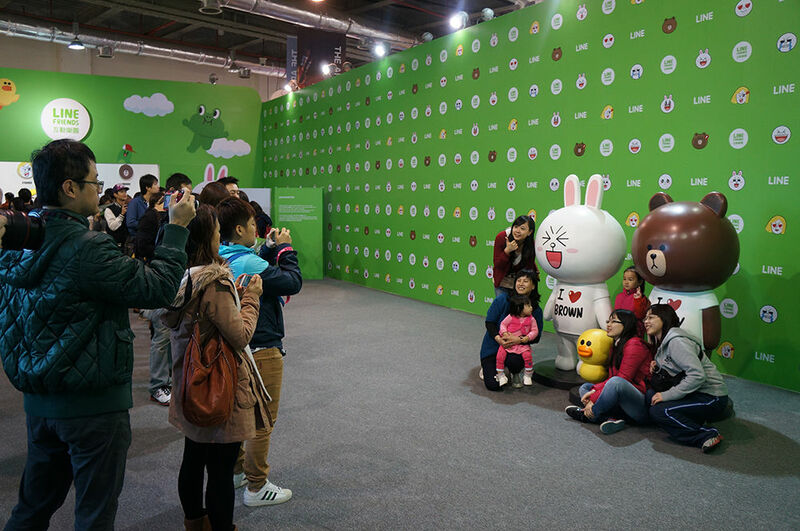 The story is much the same in Taiwan, where Line claims 20 million registered users and has also dethroned WhatsApp. Line is in its second stage in a number of other countries in Southeast Asia, as well as India, Spain, Mexico, Italy and other markets where WhatsApp is currently dominant. It may be that Line doesn’t find the right combination to appeal to locals in these places, doesn’t overtake WhatsApp outright, and it simply takes longer — either way, the threat is very real. Anyone thinking that the appeal of cute characters and stickers is limited would do well to recall how Rovio has built a global empire out of Angry Birds, which at the most basic level is just a game. Then consider how much greater the influence of a mobile messaging app is on a phone owner’s daily activity…and how easily network effects can spring into action and change user behavior. Likewise, the idea that Snapchat could become a serious consumer product in the US might have been seen as unlikely a few years ago, so it’s not a big jump to imagine that people want to do more collaborative activities with their friends via their phone, such as playing games. Line is upping its focus on Europe and Latin America, but it is taking its time before expanding into the US, as its executive in charge of global markets told us recently. It’s unlikely that this is a primary reason WhatsApp has sold to Facebook, but the union is sure to add some steel to its marketing. WhatsApp has used word-of-mouth with great success, but that has its limitations and it stands to reason that Facebook won’t rely solely on organic growth for its new $19 billion business. That would be insane. There is talk of WhatsApp becoming a central part of Facebook’s Internet.org initiative. That isn’t confirmed and other details remain unclear, but some brand building activities are certainly needed in order to maintain and grow the app’s its position worldwide. At this point, WhatsApp is the top messaging dog in Europe, Africa and much of Latin America, but its ambitious rivals are gunning to take over and they’ve already shown that they can.